In a Nutshell: For 50 years, the Association of MBAs has been the accrediting authority for postgraduate management programs in the UK and beyond. AMBA accreditation is a quality indicator for both employers seeking top-notch managers and working professionals mulling a return to school. Its rigorous accreditation process focuses on academic excellence, professional credentials of students, and whether a curriculum adapts to advancing technologies, globalization, and other trends. AMBA membership gives students and MBA graduates access to a global networking community and new career opportunities. 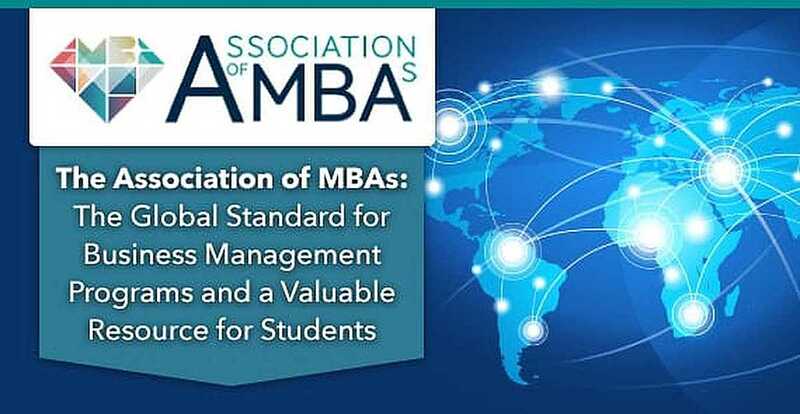 The AMBA has established itself as a gold standard for academic excellence in MBA programs and a driving force in creating managers who champion sustainable, innovative, and responsible businesses. For hard-working retail professionals, going back to school is a significant life decision. A degree from the right school can propel a career forward, but the price can be high in terms of tuition, time, and lost salary. With so much at stake, the Association of MBAs is a valuable resource for prospective students seeking to find a high quality, cost-effective MBA program. The London-based AMBA formed in 1967 with a mission to raise the quality and profile of postgraduate management programs. Today, the AMBA is the gold standard for academic excellence for MBA programs in the UK and across much of Europe and Asia. The organization currently accredits MBA programs at 253 business schools in more than 80 countries. AMBA CEO Andrew Main Wilson spoke with us about the importance of choosing the right MBA program. The AMBA’s International Accreditation Advisory Board (IAAB) oversees a rigorous accreditation process that focuses on best practices in management education, coverage of relevant syllabus topics, and providing students and alumni with support to enhance the overall learning experience. The high number of international students — 85% — enrolled at AMBA programs in the UK creates a melting pot of viewpoints that reflect the globalized economy in which we all live, Andrew said. Students and graduates also make the connections to positively impact their career trajectory. The AMBA’s professional network of 31,000 members can access an online community, job boards, networking events across the world, cutting-edge research, and thought leadership from top business professionals. Students, graduates, schools, and employers all view AMBA accreditation as the gold standard for academic quality. Accreditation shows potential students that the curriculum has gone through meticulous review and will produce a good return on investment in their careers. Retailers and other businesses in need of top-flight managers will know that a potential hire has received a high-quality education relevant to the modern workplace. The accreditation process is rigorous. Business Schools seeking first-time accreditation go through a four-stage process and, at each step, must submit documentation and payment to progress to the next stage. New schools must confirm that they understand the process and criteria by sending a formal letter of intent and agreeing to the relevant terms and conditions. The institution then submits an application which is reviewed by an account manager. If approved, the school is formally invited to become a candidate for accreditation and progresses to the next stage. A required Self-Audit Report (SAR) provides detailed information about the program and must demonstrate how each of the AMBA accreditation criteria are met. “It is a narrative document of approximately 100 pages in length and is an opportunity for the school to showcase its strengths against the AMBA criteria,” Andrew said. The AMBA then makes an on-site visit with its accreditation panel, which makes a recommendation to the International Accreditation Advisory Board Endorsement Committee. That committee has the final say and is made up of academics and leaders from member schools. AMBA membership has its privileges, as students and graduates of accredited programs join an online networking community of more than 31,000 members in 110 countries. Members receive free access to an online career center with a global MBA-level job database, and digital and in-person networking events. They can also take advantage of webinars on topics such as communication, leadership, and sustainability, and receive discounts to conferences put on by AMBA partners. The AMBA blog and exclusive membership magazine Ambition deliver high-quality thought leadership from top business minds. AMBA also negotiates member discounts on business-related newspapers, books, and magazines in addition to hotels and rental cars. AMBA research on salaries, recruitment, and career trajectories allow members to benchmark themselves against a global market. But the most valuable benefit may be the global network of connections to help advance a career, Andrew said. At 50 years old, the AMBA may be more relevant than ever. With technology disrupting so many traditional industries, modern companies need managers who are up to speed on emerging trends and have a strong foundation in leadership and business sustainability. As the global labor market becomes heated and economies remain volatile, Andrew believes a community of leaders is necessary to future-proof business, ride the chaos, and innovate through complex challenges. The AMBA will hold its 20th annual Global Conference for Deans and Directors in Stockholm, Sweden in May 2018. 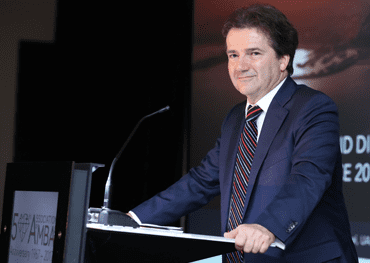 In May 2018, the AMBA will hold its 20th annual Global Conference for Deans and Directors. 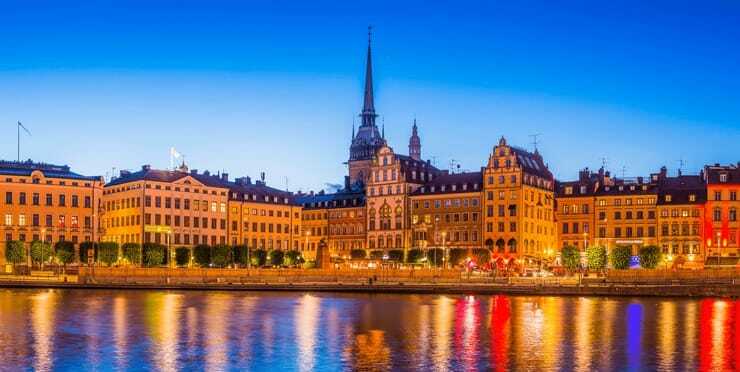 Distinguished business school deans and directors from AMBA-accredited schools, and prominent business leaders from around the world, will gather in Stockholm, Sweden, for three days. In 2018 and beyond, the AMBA will continue to focus on building a network of innovative MBA graduates, Andrew said.